Tim Fitzgerald has been Spokane county's clerk since 2014. The Spokane County clerk’s office is not one of the most visible to the public, but it’s important because lots of official papers and money cycle through it. The office oversees the business of the Superior Court. 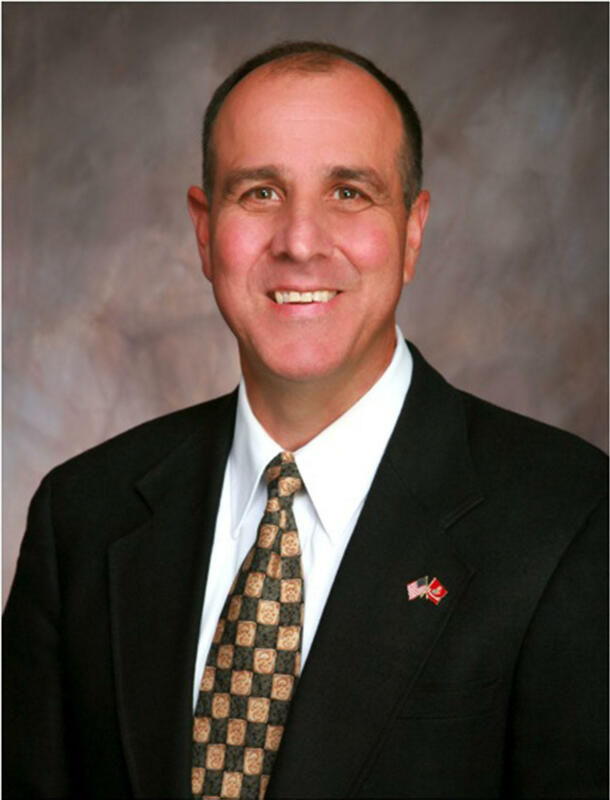 The current clerk is Tim Fitzgerald, a Republican who was appointed in 2014 after retiring from the Marine Corps. He was re-elected later that year. And now he’s facing a challenge for another four-year term from Democrat Michael Kirk. “What we do is pretty straightforward. We do the day-to-day business of the county," said Spokane County Clerk Tim Fitzgerald. Fitzgerald says it’s similar to what he did as a Marine. He held a variety of management jobs. He oversaw operations at Camp Pendleton in San Diego. His last assignment was as chief of staff of NATO forces in Helmand Province in Afghanistan. Now he oversees all the paperwork and all the finances for the Superior Court and other divisions of the county. He says his office has worked to improve on its customer service. “When I took over, people said, ‘Tim, money orders, cashier’s checks, cash. No credit cards?’ I went to work on that and now, in the courthouse, you can do debit and credit card in the courthouse," Fitzgerald said. "Additionally, I talked to the court about allowing offenders to use debit cards because most of them have debit cards. That’s how people pay for stuff. They were coming in and saying, ‘I have to walk all the way down to the bank, pay extra money to get a cashier’s check, and then come back and pay off my fine. It just seems like a harsh way of doing business.’ I said you are right,” he said. So he worked with court officials to get them to accept debit cards for payment. He also made one other change. So he developed a flex policy that staggered employee start and end times to allow the office to stay open at lunch. Fitzgerald says he’s proud that his office was able to absorb a $200,000 dollar budget cut this year without laying off people. He restructured his supervisors and changed some procedures to save some money. He says he’s also working with the state to institute a new case management system, which will go on line in November. Tim Fitzgerald’s Democratic opponent is Michael Kirk from the Low Country of South Carolina. As Kirk talks, his young daughter sits on the floor, drawing. His clerkship training came not in the military, but in a religious setting. “I was also, during my years in ministry, trained as a canon law case assistant, so I worked directly with people and completed their legal documents, determining which sort of case they had and needed to file and making sure that each detail of it thereof was perfect before it was sent off so that we’re not wasting months of these peoples’ lives. I got to understand just how deeply documents can affect peoples’ lives,” he said. He says, for many, the clerk’s office is a place of trauma and he promises to create a warm and welcoming environment for its customers. Whereas Tim Fitzgerald talks with pride about cutting his budget this year without reducing staff, Kirk says he would have handled it differently. Michael Kirk is a Democrat, challenging Republican County Clerk Tim Fitzgerald in the August primary. Since they’re the only two candidates in the race, they’ll also run against each other in November.